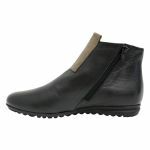 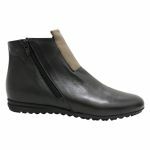 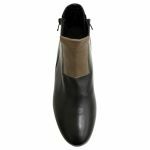 VB318 by Nu By Neo is an everyday casual wedge ankle boot. 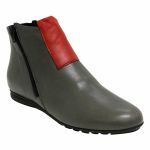 You would wear it out to lunch and then out to run your daily errands. VB318 has soft and moldable leather with a padded footbed for lasting comfort. 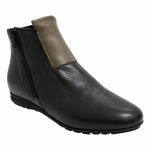 VB318 has a treaded sole with a wedge heel to make it easier to grip onto the sidewalk. 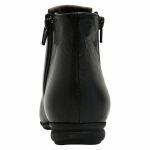 VB318 has twin zippers making it easier for those with higher insteps to get in and out of. We recommend protecting the leather with our Waproo Water & Stain Protector spray and maintaining its softness with our Waproo Zorbel leather Conditioner.